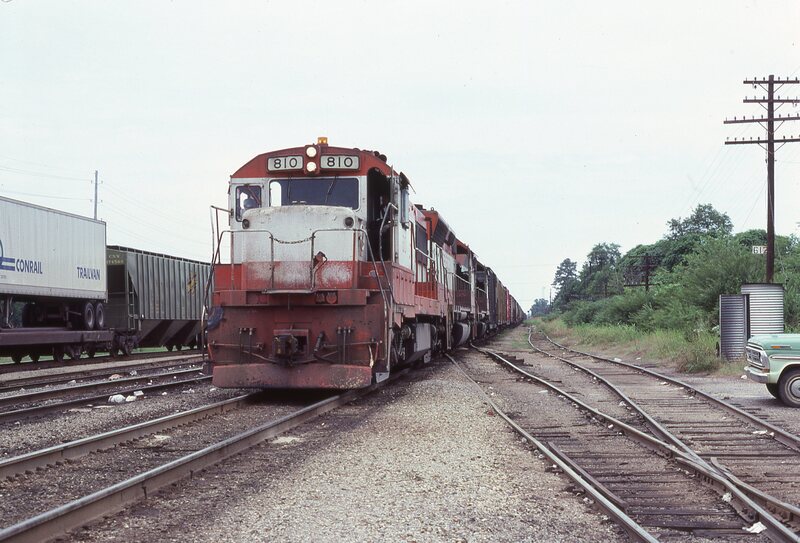 U25B 810 at Amory, Mississippi in July 1978. 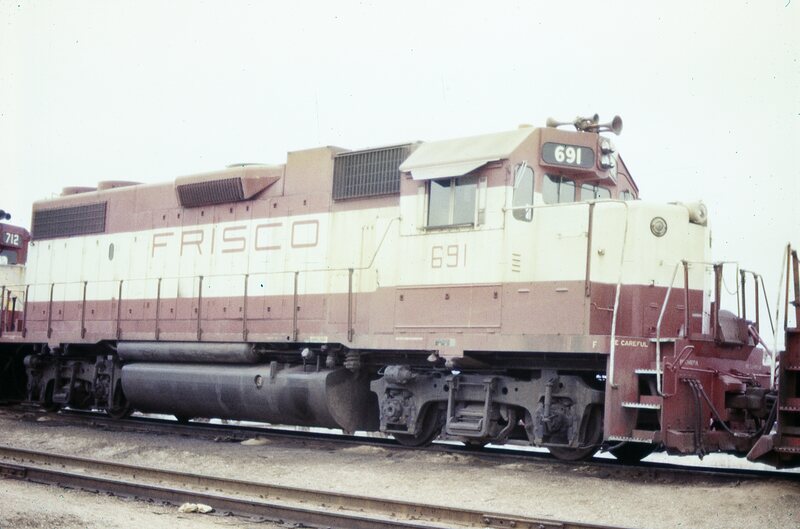 SD45 915 (location unknown) on March 17, 1973. 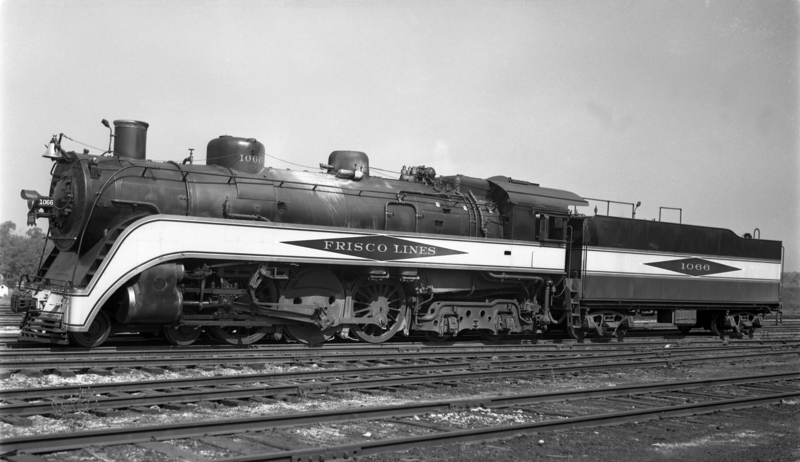 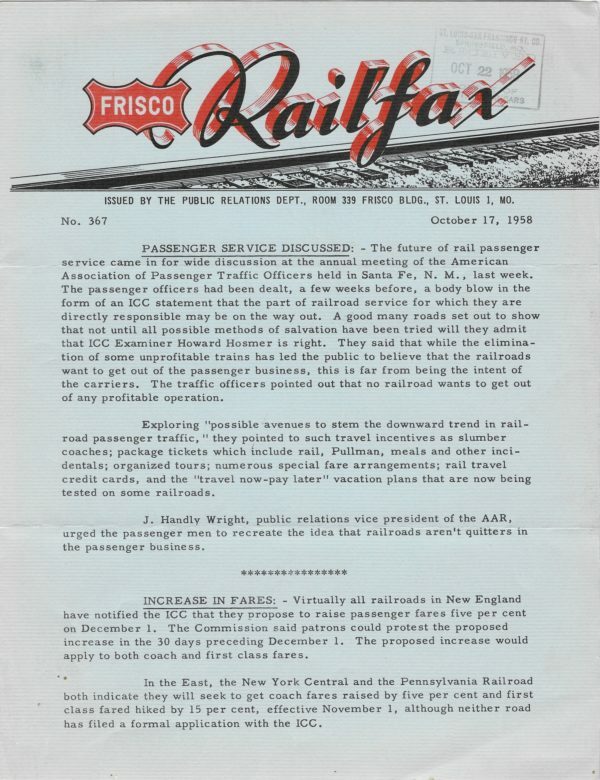 Frisco-built 4-6-4 1066 at Lindenwood Yard, St. Louis, Missouri on September 17, 1937. 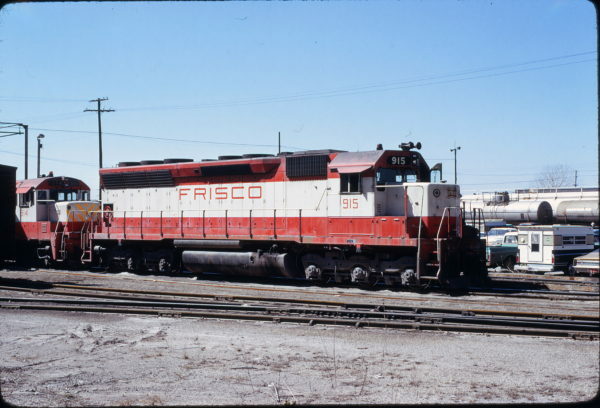 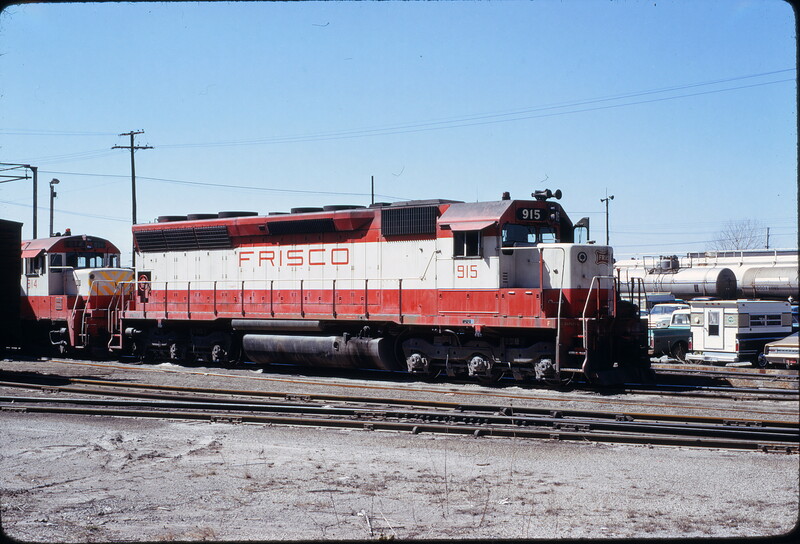 GP38-2 691 at Springfield, Missouri on April 15, 1979. 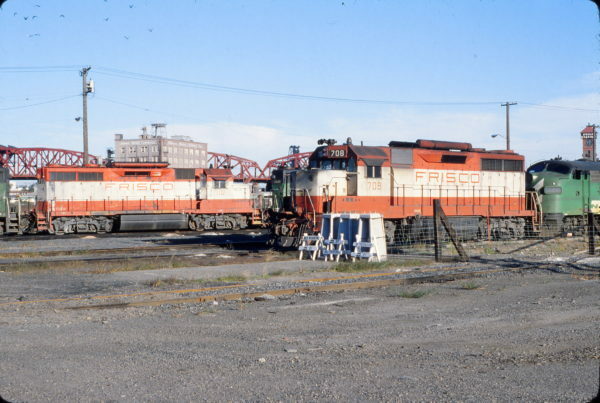 GP35s 702 and 708 at Portland, Oregon on September 12, 1979 (John L. Brown). 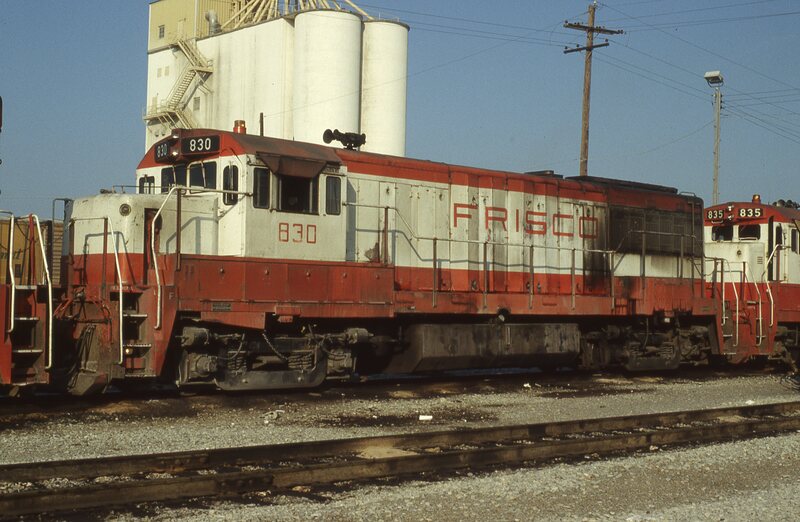 U25B 830 at Memphis, Tennessee on September 1, 1980 (Pat Wendt). 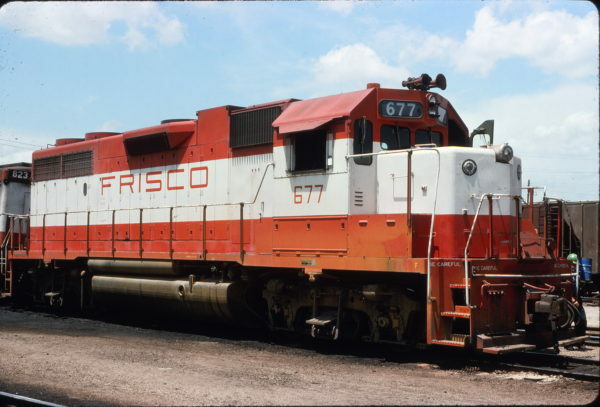 GP38-2 677 at Kansas City, Missouri in October 1975. 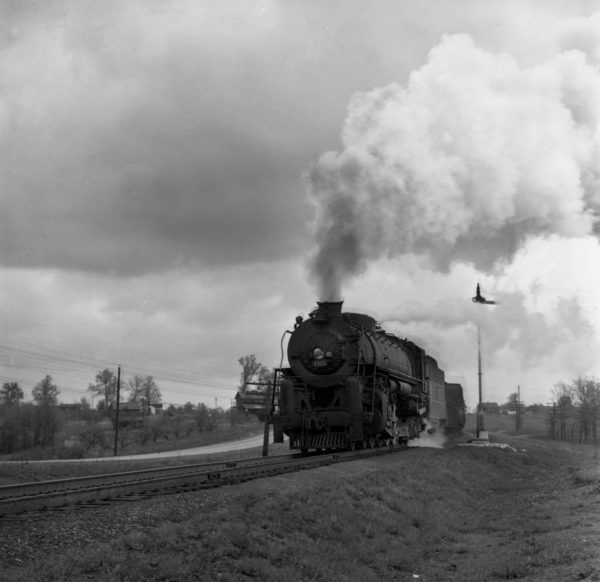 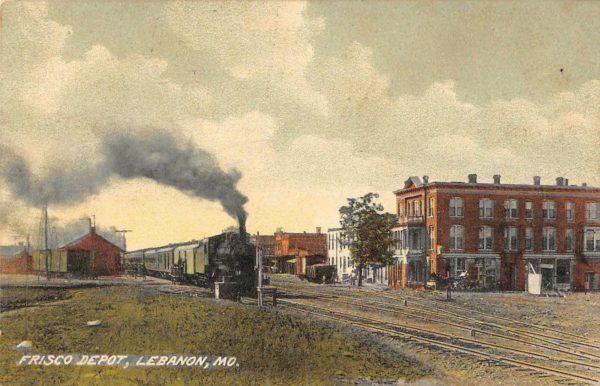 4-8-4 4513 at St. Clair, Missouri in 1944.